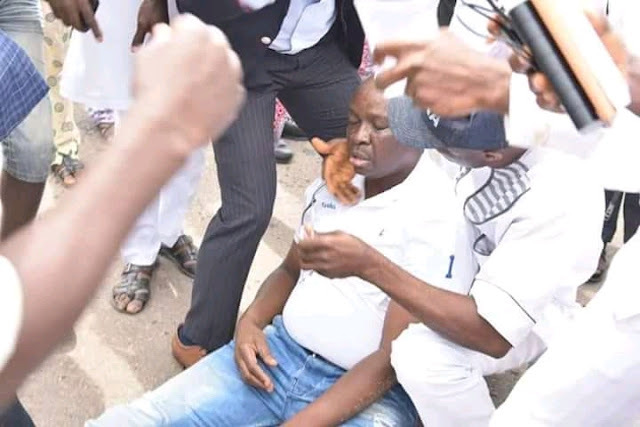 The Governor of Ekiti State Ayodele Fayose has said that there is heavy shooting now going on in front of Ekiti Govt house. Not quite long after his tweet pictures of Gov Fayose surfaced on the internet where he was seen lying on the ground as he was being resuscitated. These photos suggest the outspoken governor was molest by either thugs or the security men around the government house.